Not every vehicle needs to be a six-figure supercar to be amazing. 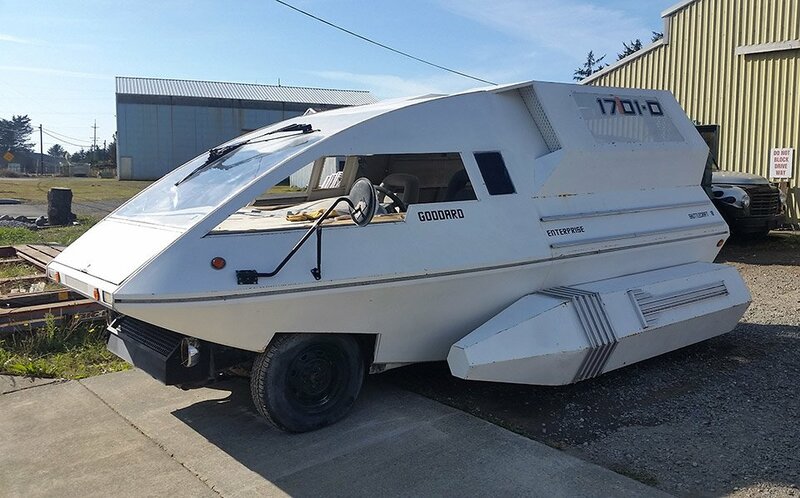 Take, for instance this custom built Star Trek shuttlecraft on wheels that was recently photographed by Redditor Kalvious. 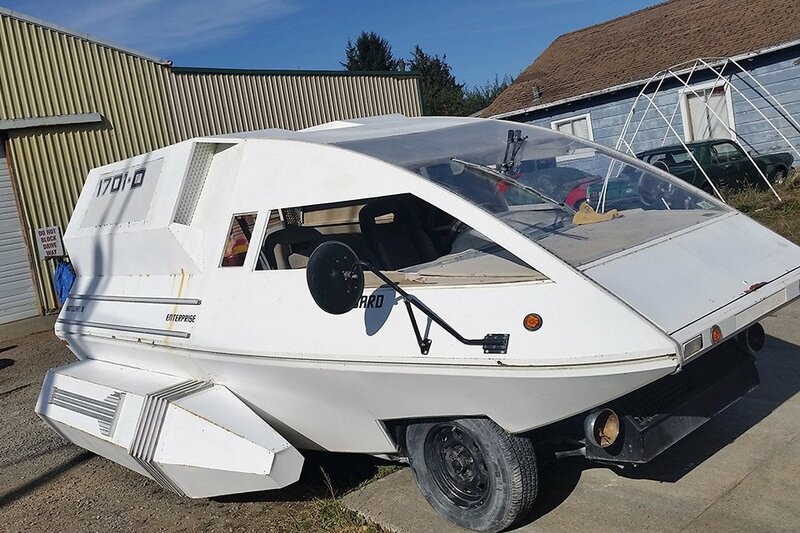 Trekkies will immediately recognize this as the shuttlecraft Goddard from Star Trek: The Next Generation. From the looks of things, it’s been sitting around for a while, but it’s clear that whoever built it put a whole lot of time and effort into converting a crummy old Ford Aerostar van into the ultimate space van. According to AutoEvolution, the four-wheeled shuttlecraft belongs to Cory Mervis-Bocskor, who likes to bring it out to Burning Man, which makes perfect sense given all of the wacky and weird art cars that turn up in the Nevada desert each year. I found some footage from it tooling around at the festival a few years back, and it looks pretty awesome all lit up. Apparently, it underwent efforts last year to turn it into a street legal vehicle, though it sure looks like it’s been sitting around gathering rust since then. I’d love to see this thing driving down the street, being chased by a Borg cube made from a Nissan Cube.